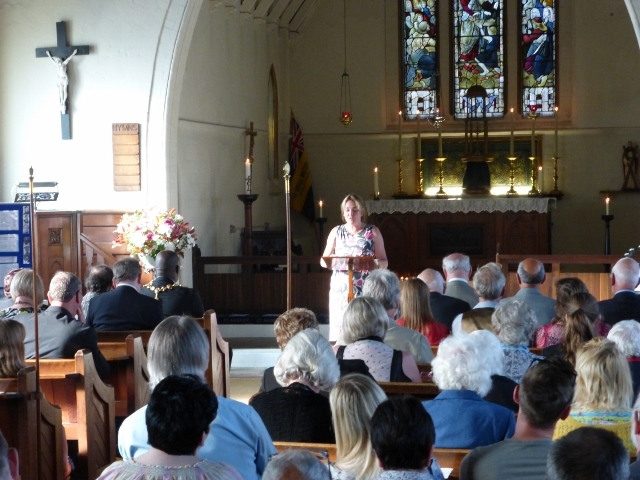 A service was held on 10th August, at St John’s Church, Staveley, to mark the centenary of the outbreak of the Great War. The service was conducted by the Rev. 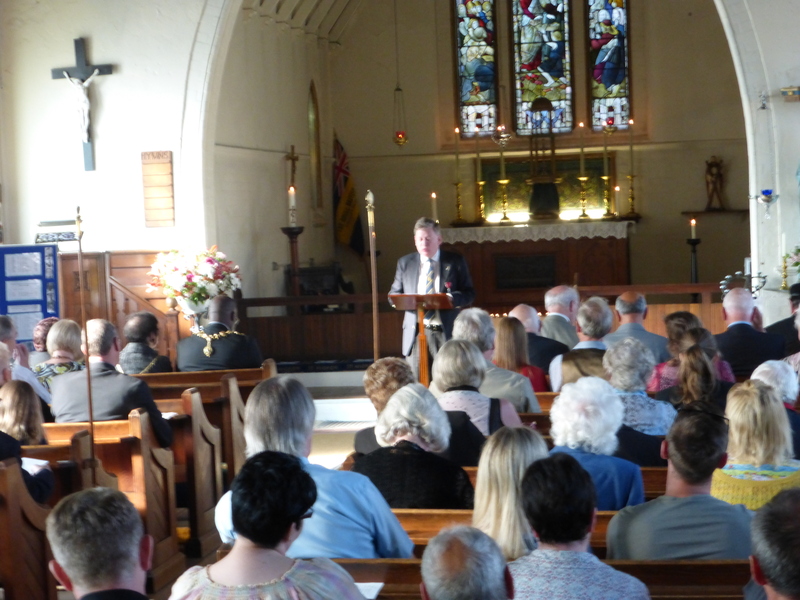 Stephen Jones, Rector of Staveley, and was attended by the Mayor of Chesterfield, the High Sheriff of Derbyshire, dignitaries and community representatives. Music was provided by the Ireland Colliery Band and the St John’s Choir. 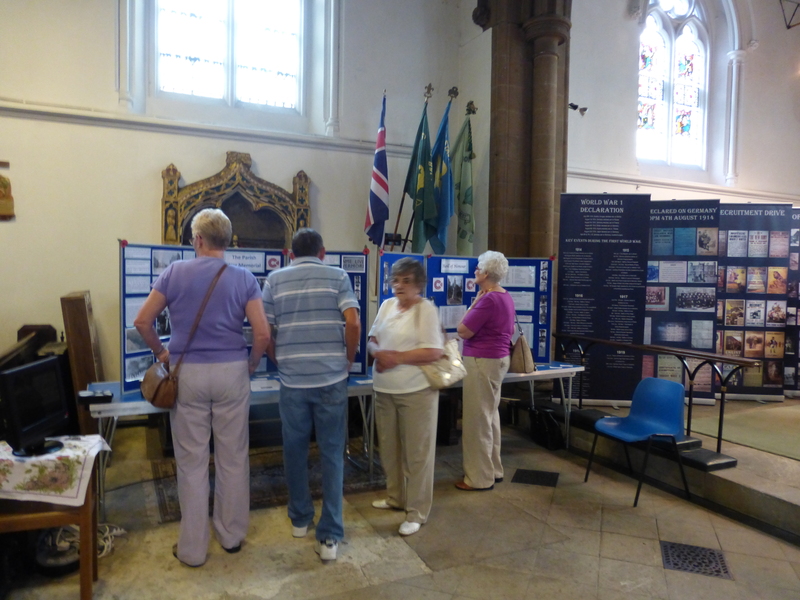 Staveley History Society’s exhibition in St John’s Church, on 9th August, included a display about the history of the Parish Memorial and the WW1 casualties named on the monument. This research is still ongoing and the team would be very grateful for any old photographs or information that could help with this project. 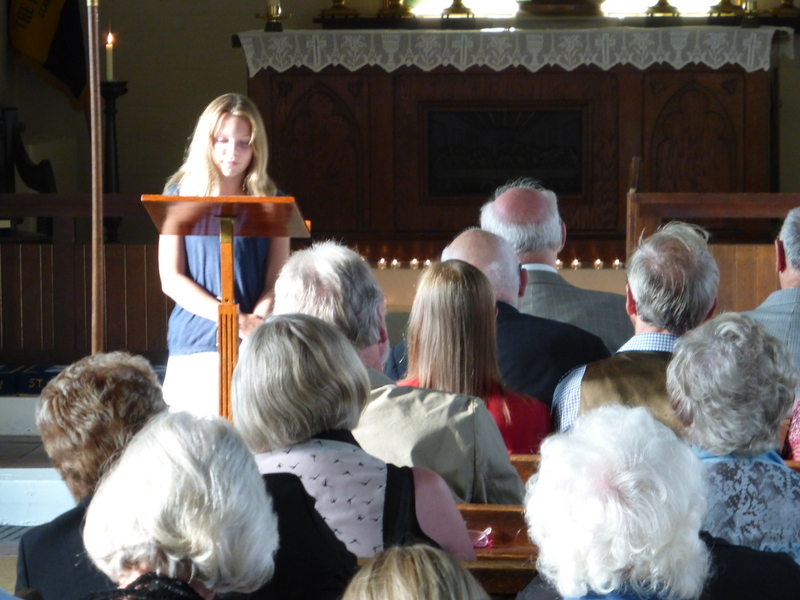 The candle-lit vigil at St Andrew’s Church, Barrow Hill, on Sunday 3rd August included readings, poetry, music and reflections by local community representatives, relatives of casualties and pupils of local schools. Candles were also provided for people to take part in the national “Lights Out” event on 4th August.